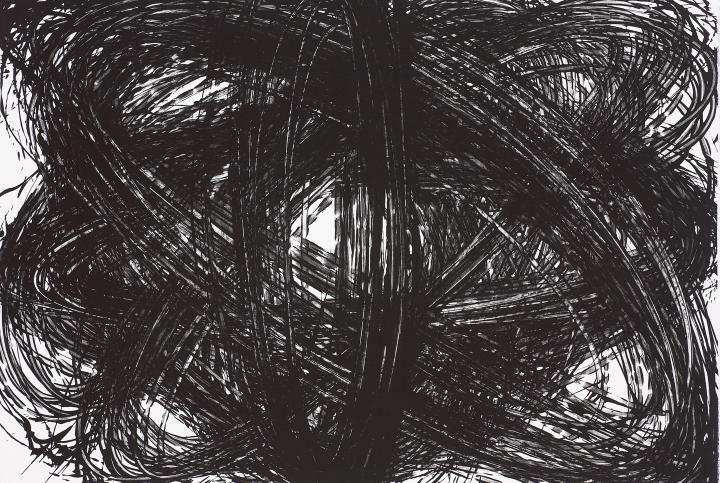 Executed from 28 May - 01 June 2007, Clearing I is one of ten prints created by the artist during his stay in Copenhagen. Lithograph drawn by hand and printed in black from one stone, a fine, fresh impression of the only known state, the full sheet, printed on 250gsm Velin d'Arches paper, hand-signed, dated and numbered in pencil by the artist, verso, pulled in an edition of 40 examples (there were also 4 numbered artist proofs and 1 Archive proof) printed by the artist with the assistance of Rasmus Urwald, published by World House Editions, Middlebury, Connecticut and Edition Copenhagen, in fine condition, unframed. The ten prints created by Antony Gormley during his 2007 stay in Copenhagen constitute the artist's first major print project in nearly 16 years.